To celebrate Mount Pleasant Neighbourhood House, we’re sharing stories from our program participants, staff, and volunteers about what makes our House so special. Here, Robynn Bunch, a former teen program participant, and Carol White, our first ever youth programmer, explains how they fought for–and won–their own skateboard park. We wanted a skateboard park, because Toronto had an indoor one. They had the only skateboard park in Canada, and we wanted one here in Mount Pleasant. We didn’t think it was right that we didn’t have a skateboard park. Instead, we had to go skateboarding on the back of buses, in pools, or just do whatever when we had spare time. Carol White, who worked at Mount Pleasant Neighbourhood House, mentioned that you could petition the Park Board and tell them you wanted a skateboard park–but you have to tell them why you want one. So she helped us put a letter together and then we went down to the Park Board one day and we presented. Carol got me to do the presentation and I was just so, so shy! I think I just read our letter really quickly, looking down. That’s all I remember. When it was all over I felt so stupid, I was so young and I was public speaking for the first time. But if it wasn’t for Carol I probably never would’ve done it. It was a lot of work, but eventually we got our very own skateboard park in China Creek Park–and it’s still there! 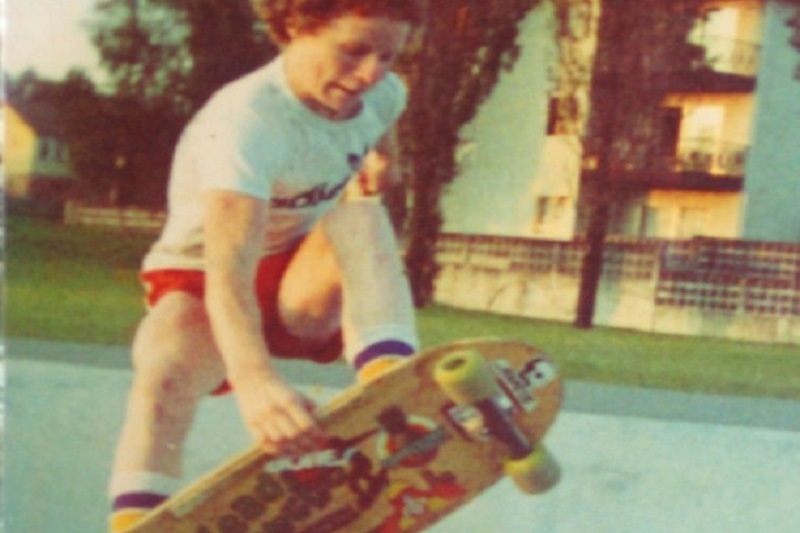 In fact, the father of two brothers who hung out there, Randy and Robin Weir, used to make us half pipes and quarter pipes, but we wanted a skateboard pipe–and we got that too! Apparently, the City was going to tear it down recently and the local skateboarders fought to save it. It was kind of cool to find that out. The skateboard kids were really creative. There were various parents that would make ramps and we would have ramps stored behind the Neighbourhood House. Then the neighbourhood improvement fund approved the space at China Creek for the development of a skate park! Nelson Holland was designing one in West Vancouver and I got in touch with him to work with the kids to develop a neighbourhood-sized skate park. To fulfill the obligation of the fund, the skate park had to last five years. That was 40 years ago and it is still there! The skate park was built on top of what had been a tributary in China Creek that leads into False Creek, but had since been used as a dump site. It needed to be hard and compact to support the weight of the skate bowl. But when we did the soil testing, we came across some of the weirdest stuff. We would hit something hard, like a bathtub. It was really hard to figure out what we were building on – a garbage dump. Of course, there were also some challenges in the 80s. The park board had put up a chain link fence around the park, so you could only go when this was unlocked, and you had to wear a helmet. But the kids got cutters and ignored that. The park board ended up changing these rules. Soon, China Creek skate park became a destination park, not just a neighbourhood park. It was being used 365 days a year. The skate park was free and open to anyone—and happily, it still is. Do you have a story about what your Neighbourhood House means to you? Share it on Facebook, Twitter, or Instagram using the hashtag #myNHstory!